While changes in humor may be an early sign of dementia, humor also has strong healing power. For a first-person perspective on how comedy helped our founder Dani’s mother, see this story from AARP Bulletin. (AARP, June 2018). Some research groups are studying how the usage of nostalgic environments may soothe patients in long-term care facilities. The work of one popular method has “much in common with improv comedy, following the same rules: Never say no to the reality you’re given; say ‘Yes, and,’ building on whatever the other person said; don’t ask questions.” (The New Yorker, October 2018). 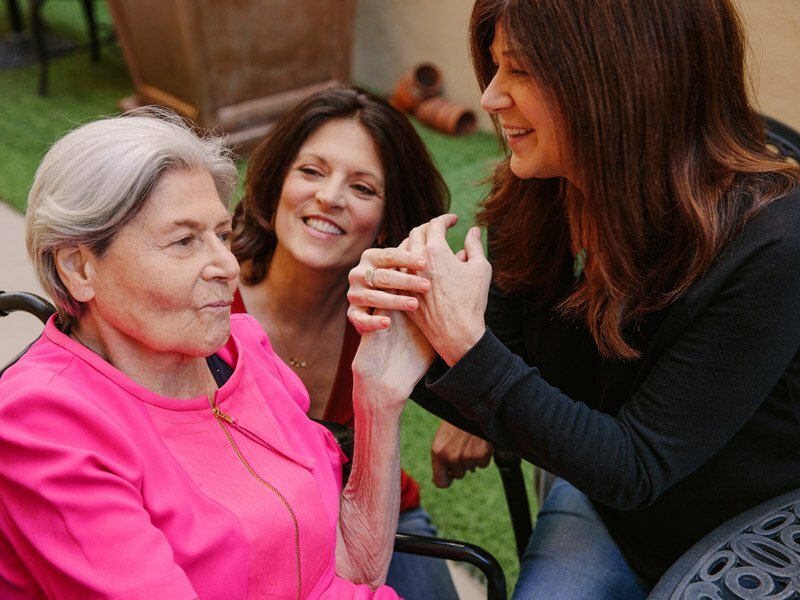 How do I help a friend whose parent has Alzheimer’s? You can give the gift of laughter. Even if you are not directly caring for someone with dementia or Alzheimer’s, chances are you know someone who is. Show your love and support by giving a Laughter On Call gift certificate. Your contribution can help a friend provide comedy care to a loved one, bringing smiles and relief to all involved. Contact us today to learn how to give the Gift of Laughter.